FGR is a public company trading in the Australian Stock Exchange (ASX: FGR). In November 2017, FGR opened a new commercial graphene facility. First Graphene Limited has announced that it has entered into an agreement to test PureGRAPH in a range of recreational equipment produced by Chemiplas. The Companies will asses the effects of adding PureGRAPH graphene to the polyurethane used by Chemiplas in its range of recreational equipment. In June 2018, First Graphene signed a Memorandum of Understanding with newGen Group (WA-based mining industry supplier, providing liners for the leading iron ore producers) for the development of graphene-enhanced products (primarily polyurethane liners) for the mining services industry. Now, the two have reported that PureGRAPH graphene has been successfully incorporated into a high volume application in the mining sector. 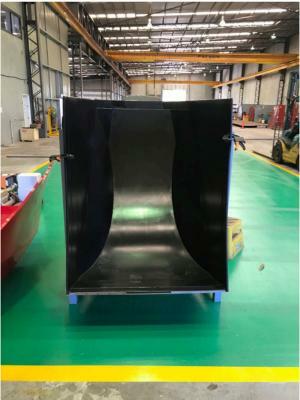 A full scale mining reclaimer bucket was cast for an on-site trial. Test work has confirmed PureGRAPH readily disperses into the polymer resin used, and now further bucket linings will be cast and sold for use in northern Australia.